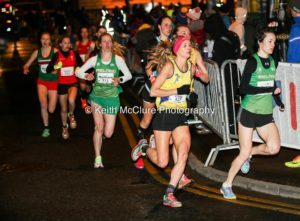 Thursday night saw the latest version of the highly popular Armagh races around the Mall. 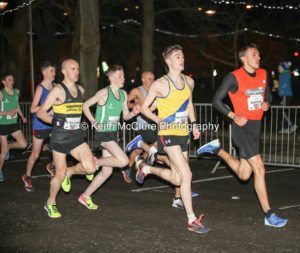 With the elite men’s 5K record of 77 men breaking the 15 minute barrier from the year before under threat, it was no surprise that 91 athletes finished in the 14 somethings. This year North Down were not represented in this race but did feature in every other race with success. Young James Blease kicked off proceedings in race 2 of the juvenile races and dealt with a dislodged shoe at the start to finish in 39th place. 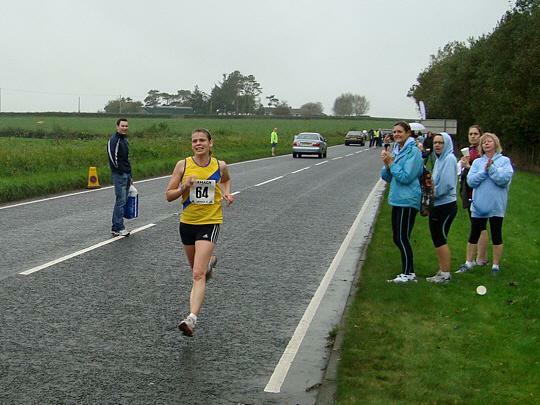 Sister, Holly ran at the head of her race as she finished in 13th position. Harris Massey was well placed in 18th as race 7 was played out and his sister Hollie, achieved an excellent top 10 finish, 9th, in race 10. Well done to the youngsters making the trip and enjoying the racing. 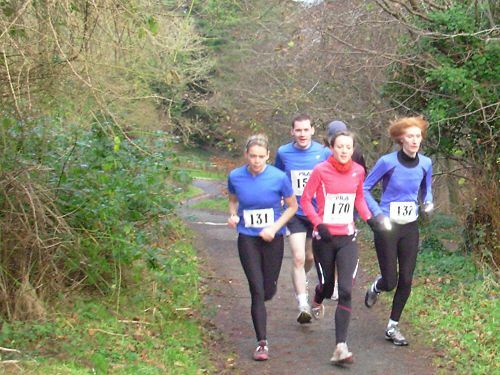 In the ladies 3k race Jessica Craig finished in 35th, an indication of the quality of racing on show. 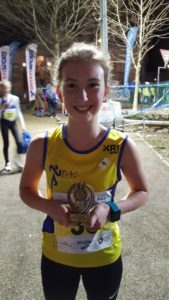 And interestingly Jessica clocked 10:06 for the third year in a row at this event – surely sub 10 is on the cards. 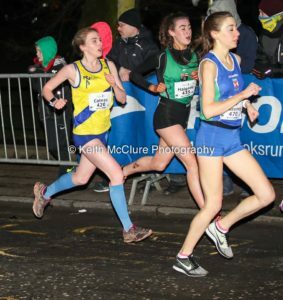 Rio Catney was next in 75th recording 11:10 followed by Megan Briggs in 89th, which was 7th Junior with a time of 11:33. Jessica Scott was next in just inside the top 100, 97th and just inside 12 mins, 11:57, and Bryanna Catney timed 12:24 when she finished in 110th. 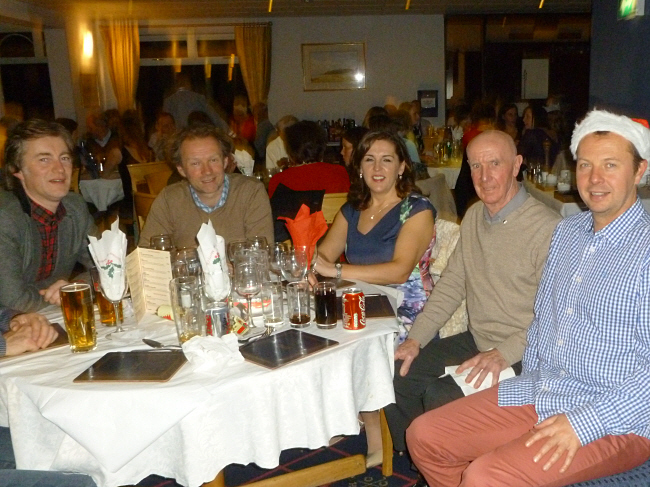 The mens race saw individual prizes as well as a runners up team prize. Craig McMeechan finished 2nd to a Polish U23 World track medallist in a time 4 seconds quicker, 8:44, than when he won the same event two years ago. Jordan Stokes was welcomed back to the ND colours as he finished 12th in 9:12, Francis Marsh clocked 9:37 as he won the O50 category, placing 38th, and John Ewing completed the scoring ND team with 52nd place, 9:46. 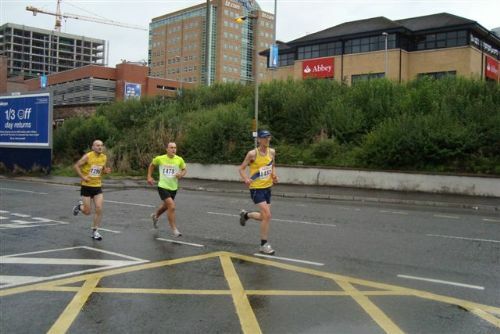 Nick Irvine came in under 10 mins as he recorded 9:56 and claimed 3rd O40 in the process. 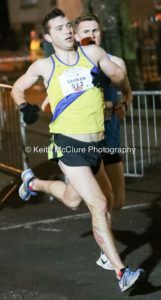 David Massey was 10th in the O40’s in 10:23 with Philip Baillie not far behind in 10:32. Young Adam Skelly had his first outing in the event and hit the tape in 11:01 which marked a 25th place in the junior boys and Terry Eakin was a winner in the O65 with a time of 11:36. Unusually the team prizes were allocated on aggregate times as opposed to finishing positions and this brought North Down in 5 seconds behind St Colman’s of Newry, the same team that won our own festival of cross country on Saturday past.